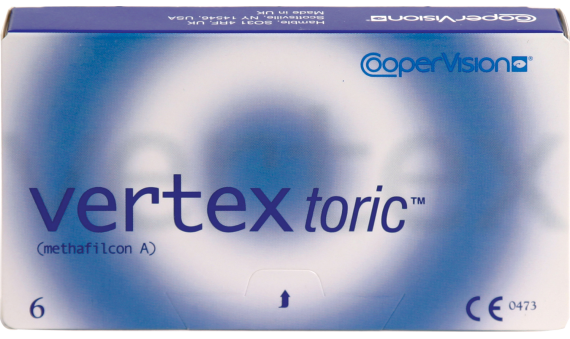 Vertex Toric™ contact lenses are great for those with astigmatism and want crisp, clear vision with the convenience of a disposable contact lens. These lenses offer patented UltraSync® Technology, a process that creates a perfect edge on every lens. 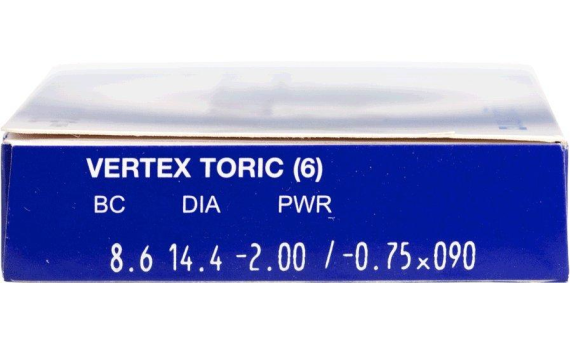 Vertex Toric contact lenses also include a light blue handling tint, which makes them easier to see when inserting and removing.